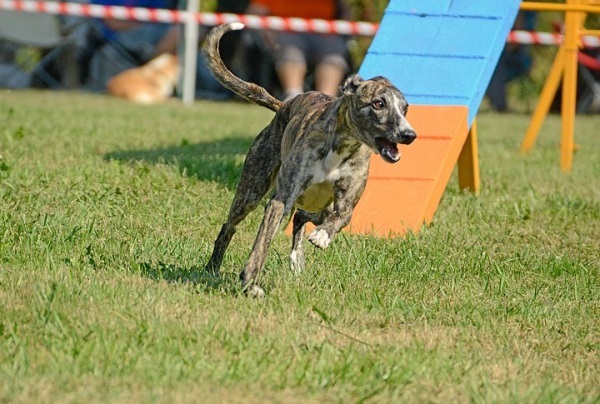 I love Silvia’s method of teaching agility because it emphasizes running fast and having fun (not to mention that she is very successful with it). What more could one want out of a sport where a human and a dog run as a team? Truth be told I tried to get some today, but shockingly someone forgot to teach Java to look for a jump when she comes out of a tunnel 😉 I should set up a tunnel course, that would be fun! Ruby’s action photo was taken by Janja Erjavec. Agility Foundations Class with Silvia Trkman- that’s great! We are very excited too.